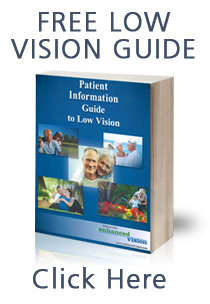 We would like the opportunity to introduce the advantages of integrating low vision into your practice; this process can be as simple as developing a referral resource for your patients offering a full range of low vision products and services. We at Enhanced Vision want to help! That is why we have a dedicated Eye Care Professional Liaison to help answer your questions. We take a vested interest in you and your practice “Your Success is Our Success”. Enhanced Vision appreciates your time and would like to be your “extra set of hands”. Get started today and learn more about how beneficial a partnership with Enhanced Vision can be. Click here to complete the online request form or call us at (800) 440-9476 to discuss partnership opportunities.